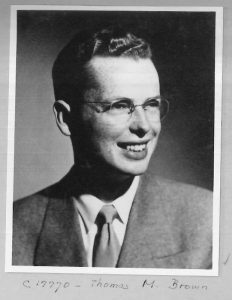 Board of Missions of the Methodist Church , “Mission Photograph Album – Portraits #11 Page 0111,” UMC Digital Galleries, accessed November 27, 2018, http://catalog.gcah.org/omeka/items/show/61349. Leila (Lee) come out of Middleville Methodist Church in Michigan, a small-town rural congregation that was on the cutting edge of theology and was proud of its contributions to Methodist ministry and mission. She first heard about the short-term program from the Reverend Charles Swann, her college sociology professor, whose parents had been missionaries in India, because he featured stories about India in many of his lectures. Yet when she announced her intention to enter missionary work, not only were her parents surprised, but also her other sociology professor told her it was not a very usual thing to do and asked what she was running away from. The “3’s” (three-year missionaries) were part of the same training program as long-term missionaries, spending six weeks in Hartford in training sessions of the Methodist Board of Missions led by the Germanys. There Lee met Tom Brown, who was in training for work in Malaysia. She first went to a school at Lal Bagh in Lucknow, India. There she was assigned to teach art. Lal Bagh, a secondary school, was located in the heart of Lucknow, so she and her students were able to walk to all the art exhibits that came to town. Such public visibility was frowned on by the families of some of the students. Lee told of one Muslim student who refused to wear her burqa, considered necessary covering when in public. The other girls in the class carefully surrounded her whenever they had to walk to an exhibit so that no relative would ever know that she had been out in public. But such acts of subterfuge were rare. Indian independence was still new, and most missionaries were aware of the need to affirm in “Indianness” of their endeavors. 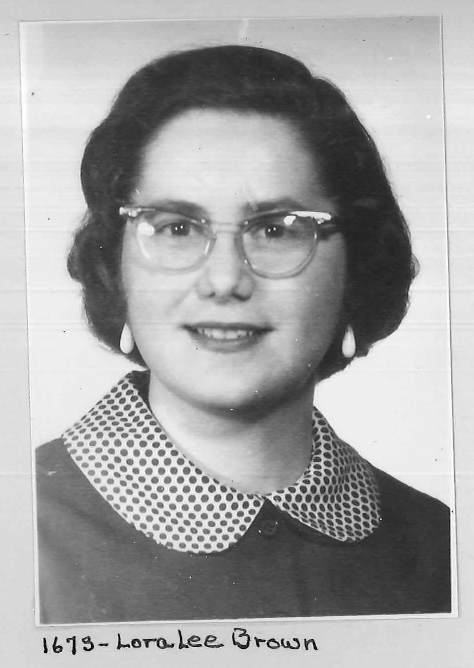 Board of Missions of the Methodist Episcopal Church , “Mission Photograph Album – Portraits #07 Page 0145,” UMC Digital Galleries, accessed November 27, 2018, http://catalog.gcah.org/omeka/items/show/60757. Lee left India to marry Tom, who had finally reached Malaysia after two years of delays because of difficulties with his draft board. Her marriage meant transferring from the Woman’s Division to the World Division. Malaysia had not yet achieved independence from the British. The Browns lived in a compound with other Methodists, including the Tamil-speaking and English-speaking ministers. After a furlough in 1959, the Browns lived in a suburb of Kuala Lumpur. They saw the church and its members becoming more and more independent of foreign workers and recognized that the time had come for change. Returning to the U.S. in 1965 did not end their ministry or the effects of their time with the Board of Missions. Because of their experiences in Southeast Asia, the Browns were asked questions about Vietnam and become involved in antiwar meetings.